I’ve seen a lot of temples. 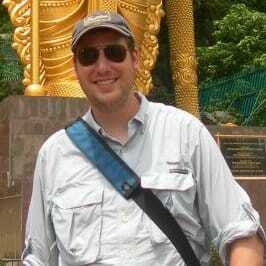 From Buddhist, to Tao, to Hindu, I’ve seen enough temples to make my eyes bulge. Some have been old, and some have been newer; some have been in cities, and some have been the middle of a forest. And, while I’ve seen a few temples that are more impressive in other countries, like Angkor Wat, for example, I never had the privilege of seeing a temple in South Korea that blew me away more than Seokbulsa. Nestled high in the mountains of Busan, South Korea’s second largest city, Seokbulsa is one of Korea’s best kept secrets. While other temples such as Beomeosa and Haedong Yonggunsa receive much well-deserved attention, Seokbulsa is easily the crown jewel of Korean Buddhist temples. Seokbulsa literally means “Stone Buddha Temple”, which seems like a very fitting name the first time you lay eyes on the temple. From the front, the temple’s beautiful location is evident, but it otherwise looks like a typical Korean temple. Head behind the front row of buildings, though, and you’ll find one of the most majestic sights on the Korean peninsula. As you walk between the buildings, the sight before you is simple breathtaking as ten-meter tall carvings tower over you in the u-shaped crevice in front of you. 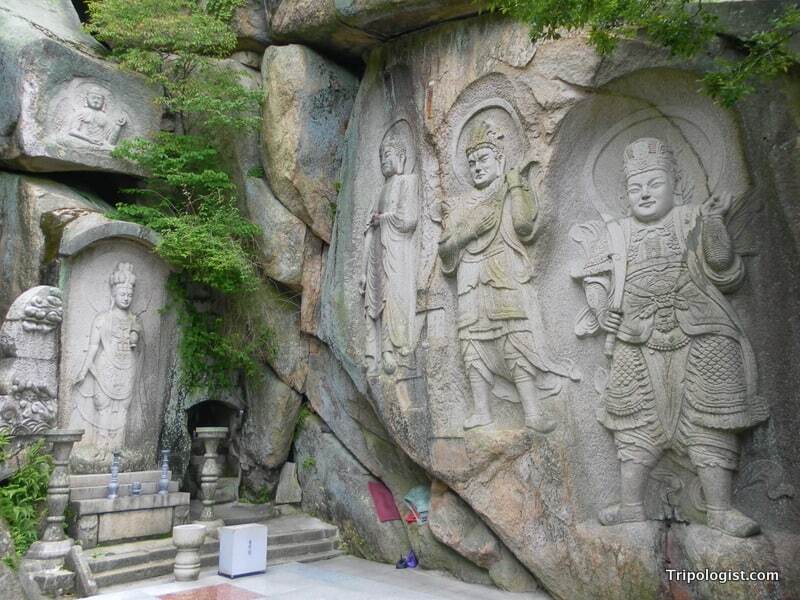 The carvings, which are several hundred years old, are some of the most impressive in all of Asia. 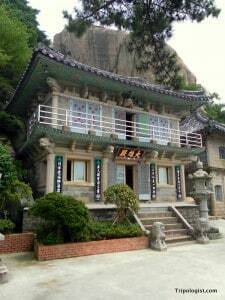 The main building of Seokbulsa is a fantastic representation of Korean Buddhist design. If you continue up the hill past the carvings, you’ll find several smaller Buddhist temples tucked away in the caves and various nooks and crannies. Turning around, you’re afforded a fantastic view of downtown Busan from the mountaintop. Gazing at the majestic carvings on the sheer-rock faces of Seokbulsa, you might feel like Indiana Jones, minus the fedora and whip. It is almost hard to believe that something this majestic could be so unknown. It takes a minimum of an hour of hiking to get to Seokbulsa from the closest subway station or bus stop, but don’t let that deter you. Set against the rocks of the mountain’s peak, you may very well have the temple grounds to yourself. When I visited on a Saturday in early August, my wife and I spent nearly our whole visit as the only people in the entire temple complex. There are two ways of getting to Seokbulsa. The easiest, but most strenuous way, is to take the subway to Mandeok Station on line 3 in Busan. Head out exit #2 and follow the road slightly uphill toward a tunnel. A little before the tunnel, there is a road heading up to the left. Follow the road for approximately 50 minutes, past several hotels and convenience stores. Eventually you will see signs in Korean for the temple (석불사). It is also possible to take a cable car to the general vicinity of the temple. To find out how to get to Seokbulsa by cable car, check out this great post about the temple from Tigers and Magpies. Agh! Missed this when I was in Busan. A weekend in the city was not enough to cover everything I wanted to do! It’s an easy one to miss. It gets only a tiny blurb in the guidebooks or in the official information from Korea tourism. Fortunately though, this helps keeps the temple refreshingly serene. Thanks for the comment. It’s located just outside of Busan. The directions to get there are at the end of the post above.